The '40s and '50s were fabulous years for Sporting. They won 10 out of 18 National Football Championships during these decades, with 4 out of 13 Portuguese cups also on the club's roll of honour. From the 1946–47 season to the 1953–54 season, Sporting won seven of the eight championships contested, losing only in the 1949–50 season. This was the age of the famous Cinco Violinos ("Five Violins") that became famous on both the national and international levels, alongside with head coaches like Joseph Szabo, Robert Kelly, Randolph Galloway, Cândido de Oliveira, Armando Ferrira, Enrique Fernández and others. The name "Cinco Violinos" was given by the journalist and trainer Tavares da Silva to refer to the forward line of Jesus Correia, Manuel Vasques, Fernando Peyroteo, José Travassos, and Albano. These men were said to play as an orchestra together with the same collective spirit and efficiency on the field. During these years, Sporting scored 123 goals (almost five per game) in a championship played by 14 teams, 2 less than nowadays. This is certainly a record that will be hard to beat. For example, the striker Peyroteo finished all 12 seasons he played in the Sporting squad with more goals scored than games played. 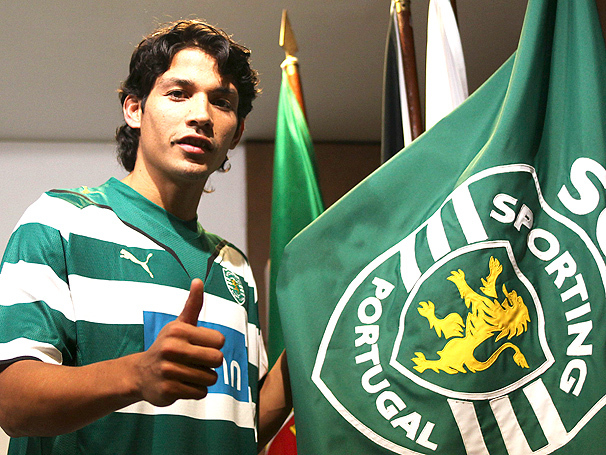 As well as numerous National Championships and Portuguese Cups, Sporting team also claimed victories in the sporting initiative known as Taça O Século (The Century Cup). This competition came to an abrupt end after the Lions won the first two trophies as well as the Imperial Cup. Sporting's success was recognised when, although not national champions in 1949–50, the club was invited to participate in the first edition of the Cup of the Clubs of the European Champions, now known as UEFA Champions League. It is unfortunate for Sporting fans that UEFA did not launch this competition earlier, otherwise Sporting could almost certainly have had at least one Cup of the Clubs of the European Champions amongst its honours. 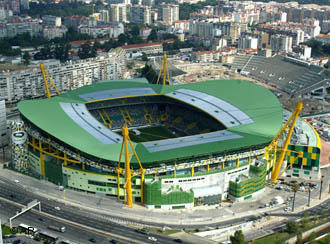 Sporting's first European game was against FK Partizan (3–3), in a match held at the Estádio Nacional with João Martins scoring their first goal in European competition. Sporting's tetra-championship, the first in Portuguese football, began in the 1950–51 season with players: Mário Wilson, Juca, António Jesus Correia, Manuel Passos, Juvenal, Manuel Vasques, Galileu, Veríssimo, José Travassos, Martins, Tormenta, Carlos Gomes, Leandro, Manuel Caldeira, Armando Barros, Carlos Canário, César Nascimento, Anacleto, Manuel Marques, Pacheco Nobre, Mateus, and Pacheco. The head coach was Briton Randolph Galloway, with Fernando Vaz as his assistant. In 1955, José Travassos became the first Portuguese footballer to be selected for the European XI. He played in Belfast against the team of Great Britain, in a performance highly praised by the international media, becoming known thereafter as "Zé da Europa" ("Zé of Europe"). Today at a crowded press conference inside the Estádio José Alvalade, Sporting CP's Manager; Costinha, and Coach; Carlos Carvalhal told suprised journalists that they would be stepping down from their roles with immediate effect. They explained that although they loved their job roles they felt that they were to blame for one of Sportings Worst Season in Recent History not winning one piece of Silverware, finishing 4th in the League and getting humiliated by arch Rivals Porto 5-2 and Benfica 4-1. They affectionately told the world of their fondness for the club and stated that they will always look back on their time at the club with happy and sad memories. As they left the press conference both men shook hands with the clubs chairman José Eduardo Bettencourt, took a bow each and then left the room. The journalists looked at each other, most of them slowly remembering who this man was. He was the former footballer Of Sporting's youth academy who suffered a horrific accident and was never able to play football again. He continued to stay at the academy learning for Former Coach Paulo Bento and becoming his future successor. He took a seat next to José Eduardo Bettencourt and addressed the onlooking somewhat startled journalists.
" Ola Tudos presente, My name is Andrew Cura, I was Born in Canada to Portuguese Parents and have always been a Sportinguista. I promise you that although i have very little managerial expirence i will guide o nos Clube to it former Glories and I will create the next Group of legends." The Season Will commence Tonight! Last edited by AndCura; 12/08/2010 at 10:58 PM. Grande Sporting, Vamos ser Campeoes este Ano ! If this was posted by a regular FM-Base member, we'd have been on the 2nd page now. As it's a new member, nobody seems interested..
OP looks good dude, nice read so far. Layout looks good. Sporting started off there preseason Campaign with the Cura Cup, a friendly tournament in which Manager Andrew Cura invited Real Madrid, Manchester United, and Lokomotiv Moscow to the tournement. Managing for the First time at the Jose Alvalade Stadium, Cura's side Managed to win 2 - 0 in there first game of the Cura Cup, The fans were delighted to see Sporting get the match off to a flyer when Matias Fernandez scored a scorcher from outside the area. 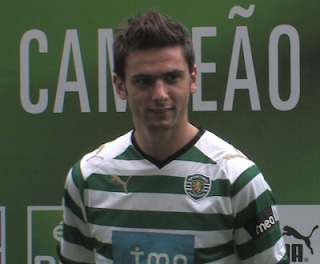 The second half also kicked out weel with Helder Postiga Scored a trademark header from a cross by Simon Vukcevic. Sporting were clearly the superior side in this match having double the shots that Freamunde had along with more than half of those shots being on target. Sporting displayed a very goood first half display controlling the game and attacking from the off. at half time manager Cura decided to give a run out to the younger lad and reserve players to give the a chance at first team football. Sporting displayed there best game to date under manager Andrew Cura in the 6 - 1 thrashing of AS Nancy Lorriane with Sporting showing that even when it was tied 1 - 1 the players never gave up and kept fighting until the very end. Sporting fans all over were delighted at this score line ans well as the chance to watch Nicolas Otamendi play his first game for Sporting CP along with bagging his first goal. Once again Sporting displayed there control and dominance over a team under the well disciplined tactics of manager Cura. Pedro Mendes bagged his first goal for Sporting in the 25th minute of the game and Liedson made it 2 - 0 in the 71st minute. Setubal striker Fantick got Setubal back one in the 80th minute. Sporting fans were scared and a bit nervous when FC Timisoara scored the opener in the 19th minute. The second half saw a different Sporting. Dentinho was brought on for Perierinha, and Pedro Mendes was brought on for Joao Moutinho. There was an instant impact on the game, four minuted into the second half Vukcevic sent in a corner and Postiga's header hit Sepsi and was redirected into his own net. Then 18 minutes later Pedro mendes finished off an attacking play from Dentinho who dribbled by three Timisoara defender before laying it off for Mendes who finished with ease. In the 82nd minute Mendes once again finish with a wonder strike for 20 yards out driving the Sporting fans into chaos. Sporting kicked off the second leg of the champions league third round with a game away to FC Timisoara. The game showed another fine attacking display from sporting which saw Sporting Scored with Simon Vukcevic in the 43 minute with a wonder strike. Then in the 66th minute future star Adrien Silva scored from the 18 yard box with a well placed shot. Sporting Finished off the preseason friendly with a game against Italian side Parma to help boost confidence for the future matches. Once again the attacking display that Sporting has played is a joy to witness with very fluid and direct passing, Truly all players get involved in the attacks. 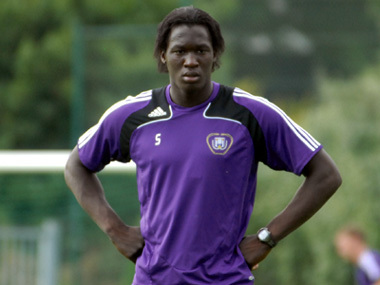 with scoring coming freely through great Strikers Liedson, Postiga, Sonogo, Pongolle and Lukaku. Sporting in the first half seemed lost, they were not playing like a team, playing very boring slow passed football in which drove the fans that made the trip to Madeira very aggravated. At half time Manager Andrew Cura told the Players that they were playing very poorly and if they did not shape up, the would be benched for the next few games and moved to the reserves. It seemed to half worked, Vukcevic got his game together and bagged two goals, Liedson showed that even though he is 31 years old he still has the lethal finishing, and Matias is showing that he deserves a place in the first team. With one of the most interesting and nail biting games to take place at the estadio Jose Alvalade this season , Liedson proved to be the Rosetta's Stone to unlocking Athletico's defense bagging a hattrick and winning the game in stoppage time. Sporting got off on the wrong foot with Striker Diego Forlan netting in the seventh minute but that was quickly reversed when Liedson finish a trademark run into the top corner. Liedson then drove the crowd wild when he netted a second time with a wonder strike in the 34th minute. However Athletico Madrid was not done and bagged a goal from Winger Jose Antonio Reyes in the 75th minute after a horrible mistake by Leandro Grimi. However Liedson once again drove the crowd into pandemonium when he netted the game winner in the 91st minute of the game. Sporting has began to develop themselves as a force to be reckoned with after the humiliating destruction they served to Sporting Braga this weekend. Once again Sporting fans find them selves in shock at the way manager Andrew Cura has trained the players so well to create many chances and are very surprised at how many hit the back of the net. The biggest surprise was Liedson who is creating himself a place in the club Legends pools along side figures like Luis Figo. Coming off the 6 - 2 thrashing of Sporting Braga, confidence was high in the Sporting camp but when Sporting entered the Vincente Calderon, Everything went to hell. Forlan struck early into the half which brang the morale down and when Sporting couldn't get the ball on target the players became more frustrated. Forlan struck again at the beginning of the second half, and 20 minutes later Aguero struck and 8 minutes after that Palermo struck. At this point the game was lost and manager Cura decided to gives the younger guys a run out, which ended up getting sporting back into it with Sanogo scoring in the 85th minute. Morale recovered from the big loss midweek in time for Sporting to put on another first half attacking show in which Sporting players all played well and worked as a team,Basically everything they failed to do against Athletico Madrid. Last edited by AndCura; 12/08/2010 at 08:17 AM. Very good read so far, Keep up the good work, Forca Sporting!